We all know how important fitness is. Whether you’re male or female, young or old, it’s vital to your health. 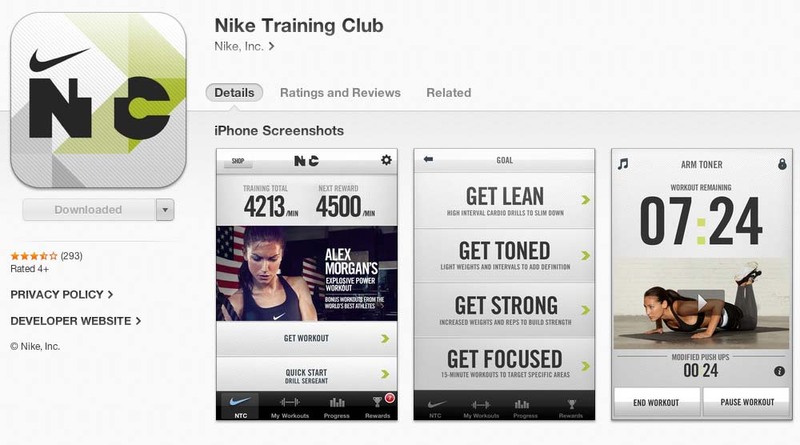 In this post we’re going to look at some favorite apps for fitness. I hope you enjoy them. This free app has hundreds of different workouts for women, all in a well-designed format. It’s easy to pick one, do it, and then keep track of where you are in your fitness program. This app won the 2012 Appy Award in the Healthcare and Fitness category. It pledges to help even the most unprepared person to get in shape to run in a 5K race in just nine weeks. It’s fun, with different cartoon trainers, “ridiculously easy to use,” and requires just 20-30 minutes 3 times a week to get you to the finish line. This yoga guide is one of the best apps of 2012 according to CNN and Mac Life magazine. There is an extensive dictionary of yoga poses and terms with exceptional yoga instructions that lead to three different variations of yoga, three difficulty levels and three durations, all for $2.99. For people who like to get outdoors to workout, this free app can track your exercise outside using your phone’s GPS system, whether it’s by run, bike or hike. It alerts you to your stats and progress as you workout. You can save routes, compare your current with previous performances and sync your health data with other fitness apps. It’s a well-integrated and well-designed system. This app uses innovative technology from MIT‘s Media Center to interpret your heart rate simply from the way that light is absorbed or reflected from your face each time your heart beats. It uses sophisticated software to track these tiny changes not visible to the human eye and calculates your heart rate which correlates with your fitness and potential life expectancy. This entry was posted in Our Office and tagged Couch to 5K, Heart rate, Physical exercise, Physical fitness, RunKeeper, Yoga. Bookmark the permalink.